When news broke that Carrie Fisher had been hospitalized after suffering a heart attack, people feared the worst. Soon after, hearts broke around the world at the news that she had passed away at age 60. It seems that everyone was upset by the news. Not surprisingly, everyone rushed to pay tribute to the actress and author, and billboards began to pop up in cities around the country. 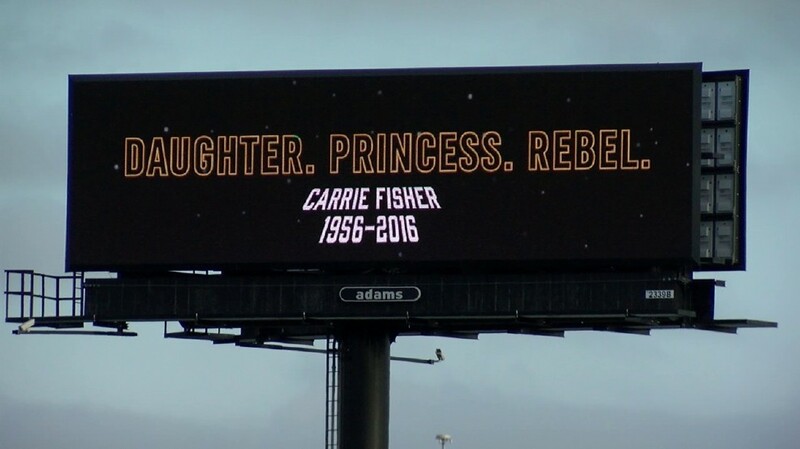 Making plays on the character she was idolized for, the billboards said goodbye in classic Star Wars fonts, memorializing her work for drivers passing by. More heartfelt tributes are sure to follow as time passes, but these are just so touching. Have you seen any around your city?